Hi, I'm Michael the Plumber and in association with Fox & Co have been in business for more than 30 years. I undertake all gas works including, gas fires, water heaters, unvented hot water cylinders, central heating, plumbing and Saniflo & Grundfos macerator works for domestic customers. I offer quality heating and plumbing services coupled with high personal standards in the North London and surrounding areas. I usually work with one other person when installing boilers. I provide a professional, prompt and reliable plumbing and heating services with extremely high standards of workmanship at very competitive rates and I treat your home better than my own and use dust sheets and plastic shoe slipovers when required in order to protect your flooring and carpeting. I have over 30 years experience in meeting clients and taking care of their problems and apart from requiring an occasional coffee, ‘one sugar and milk please’ I am very low maintenance and can be left to get on with any job whilst you go out your day. I am aware a great majority of clients are ‘time poor’ and not always able to be on site during the works. I am happy to work alone and to pick up and drop keys, I love dogs and cats and come with £2 million liability insurance which to date has never been used. What more can be said, other than, if you need a plumber or registered heating engineer, call me now! I work with families, individuals, estate agents, schools, landlords, overseas owners and anxious parents and can attend swiftly, identify the problem, photograph it, if required, for the clients records and then carry out a cost effective repair with the clients authorisation. Invoices are usually presented upon completion of works, but can be emailed using an online service which allows clients to view and download past and present invoices and pay immediately by bank transfer. 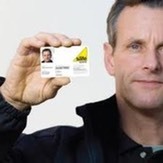 This site also offers a great deal of useful advice to clients, some of which may allow you to carry out works that you would usually pay a tradesman to perform (not gas work).